Are you a gamer? If so then you are aware at how crucial the right gaming equipment can be. Well Logitech Gaming provides that great gaming gear with a style that not only makes it a true gaming experience but does it with flair. Experience ultimate gaming with the great line of products that Logitech has to offer the next time you are playing Call of Duty, Star Wars Battlefront or even Minecraft. Lets start with the G303 Daedalus gaming mouse. 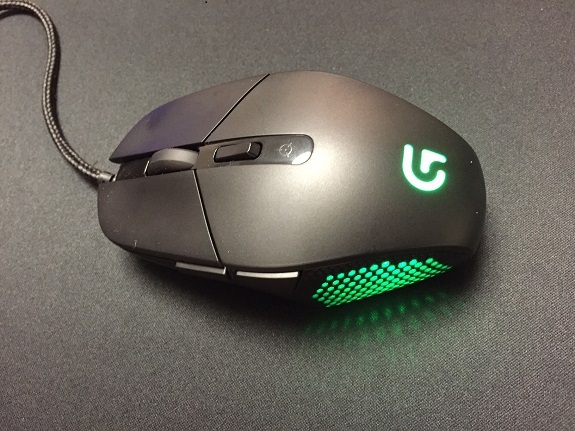 With their best optical sensor, the G303 is built with Delta Zero technology and delivers exceptional tracking while minimizing speed-related accuracy variance, commonly known as “mouse acceleration”, allowing for quicker reactions and more consistent targeting. For maximum responsiveness, the sensor has zero smoothing or filtering across the entire DPI range—even at high sensitivity. It can be tuned, optimizing sensor parameters, not just LED intensity, to match the properties of your mouse surface for maximum high speed performance and lower lift-off distance. You can also bring your mouse to life with “breathing” light patterns or set your lighting to sleep when you aren’t using your system. Choose lighting color and brightness to match your style, system or environment. The Daedalus Apex lighting can be customized from a palette of up to 16.8 million colors. This mouse also achieves great results with the default configuration straight out of the box. Or, set up one-button triggers for actions that typically require digging into menus. Put push-to-talk communications in easier reach. Temporarily down-shift DPI for sniping. Reassign any game command or multi-command macro to any one of six programmable buttons with Logitech Gaming Software. 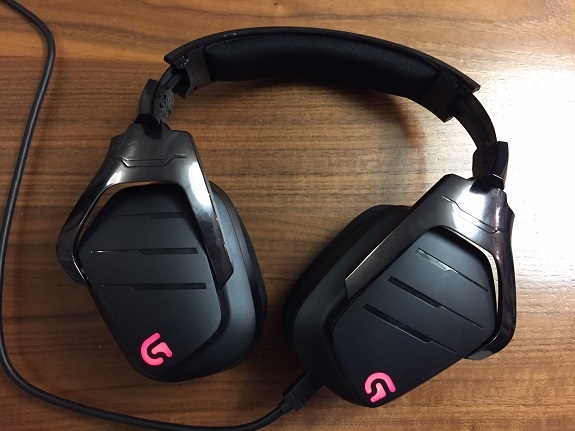 Next is the G633 Artemis Spectrum gaming headset. This headset provides great cinematic sound. Its 7.1 Dolby Surround Sound and Pro-G audio drivers deliver incredible sound fidelity. Hear enemies sneaking around behind you, special ability cues, immersive environments, and inspiring gaming soundtracks the way they were meant to be heard. Artemis Spectrum is a gaming headphone worthy of serious audio fans. Like the G303 you can customize buttons on the G633 using Logitech Gaming Software to enhance your gaming or media experience. Set to in-game macros for instant command combinations, or use it to control your music or audio profile without leaving the game. 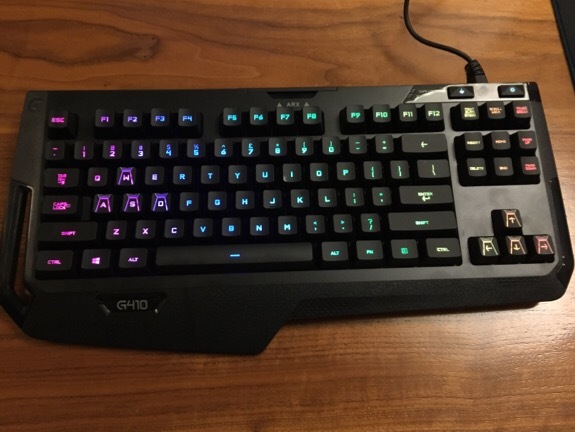 Last but not least is the newly released G410 Atlas Spectrum Tenkeyless mechanical keyboard. In gaming every millisecond matters where a millisecond can mean getting the edge on the competition or not. Exclusive Romer-G switches gives Atlas Spectrum compact mechanical keyboard up to 25 percent faster key switch actuation (Actuation point of 1.5mm). Atlas Spectrum weathers the wear and tear of intense gaming for years to come. Central back-lighting makes it easier to find the keys in-game and in the dark. Using Logitech Gaming software, you can synchronize lighting effects with other Logitech G devices. Mark keys by color to keep track of spells and other commands. You also get improved durability at 70 million keystrokes which is up to 40 percent better than others on the market. To take it one step further use the new Arx control integration. What is Arx control? it is a new app for Android and iOS that adds second screen capability that allows your mobile device to display in-game info, vital system statistics, and more. For ease of access, Atlas Spectrum’s removable Arx Control dock is stored conveniently in your keyboard and can be placed anywhere on your desk. I am not a gamer but my son had some time to give these items a good test drive and he definitely sees an improvement in his gaming experience and an ease in what normally would be more time consuming functions in game play. His favorite games are Minecraft and Rocket League. 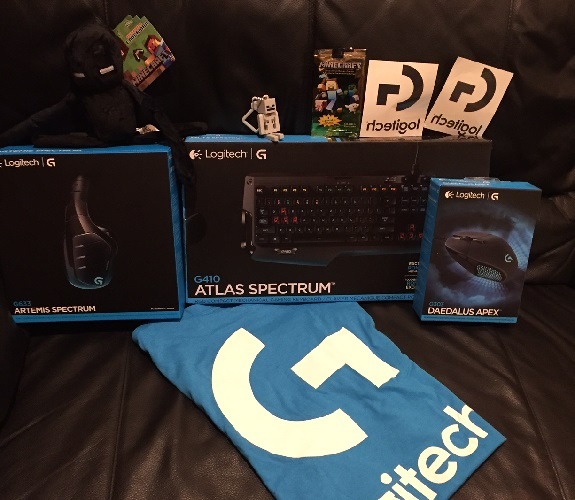 Disclosure: I received the The Logitech Gaming Experience in exchange for my honest review. The opinions expressed in my review are my own. No other compensation was given.